We would like to invite you to participate in a usability test session on the use of a concept for a future Cochlear smart phone app feature. The purpose of the study is to investigate the usefulness and usability of a prototype smart phone app feature designed to assist in the hearing development of young cochlear implant children. We are interested in learning about how you would use such a feature in the daily life of your young child’s development. We have a functioning prototype app and we would like to see how well it meets the needs of young recipients and their carers. By testing the prototype with real recipients parents or carers, we aim to make it easier and effective to use. There will be one or two usability activities which we would ask for your participation in. On the day, you will be given a few short tasks to perform using the app prototype. We will observe you as you use it, ask you to “think out loud” whilst doing the tasks, and ask some questions about the experience. This will assist us in determining how you and others might find using the app prototype. Please remember it is not a test of you or your child’s abilities; rather it is an evaluation of our prototypes. 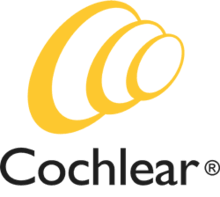 We will be taking notes and in some instances video during the session to allow Cochlear staff members who are not able to be there to observe your session benefit from your comments and experience with the prototype. The data used will be confidential and we will not use your names or other identifying information. Video will be used for internal purposes only. You can choose to leave or take a break at any point during the session. For a deeper over time analysis, we may ask for you to take home the app and use over a period of a few weeks as you would in your everyday life. That will provide even more realistic use scenarios which we will collect data from. The data used will be confidential and we will not use your names or other identifying information. If possible to arrange, we will seek to do a post take home use interview to ask some questions about this experience also. Please be aware that the product we are testing is not yet released into the market and so we ask that you do not discuss the product or the testing that happens. We will require a signed Usability Test Consent Form on the day which includes a confidentiality clause. We will provide the form ahead of time. You have a right to a copy of this consent form if you so wish. We would require your participation for approximately 2 hours. Ideally at our headquarters on Macquarie University campus. We can make alternative plans if this is not convenient for you however. Please let us know your preference. In order to compensate you for your time, we would like to offer you a $50 voucher. We look forward to hearing from you. Whatever your decision, please be assured that it will not affect your relationship with the clinical staff who are caring for you, nor would it prevent you being invited to participate in other research activities at Cochlear in the future.